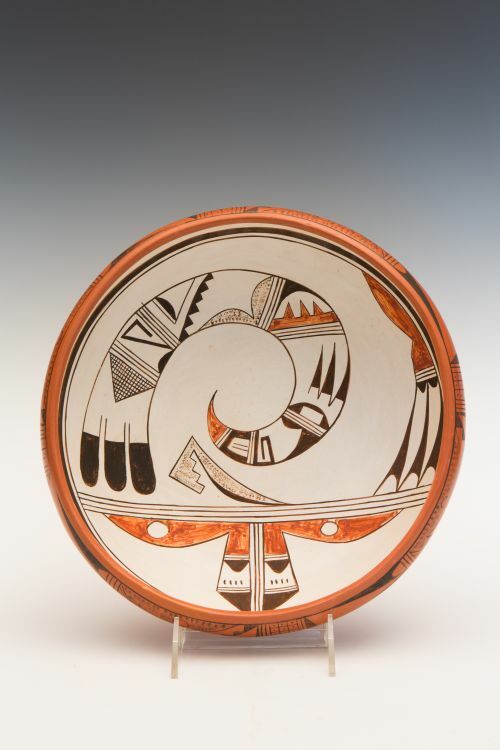 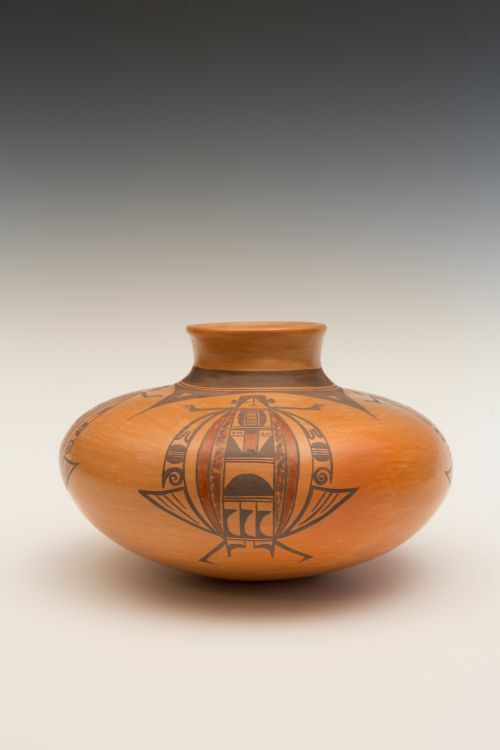 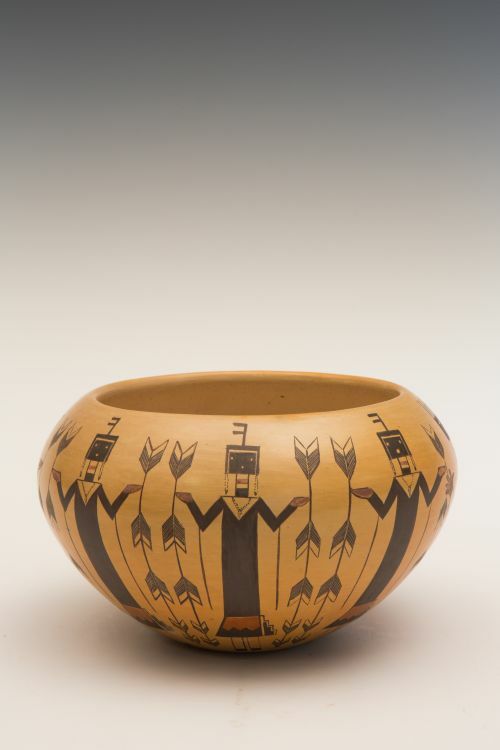 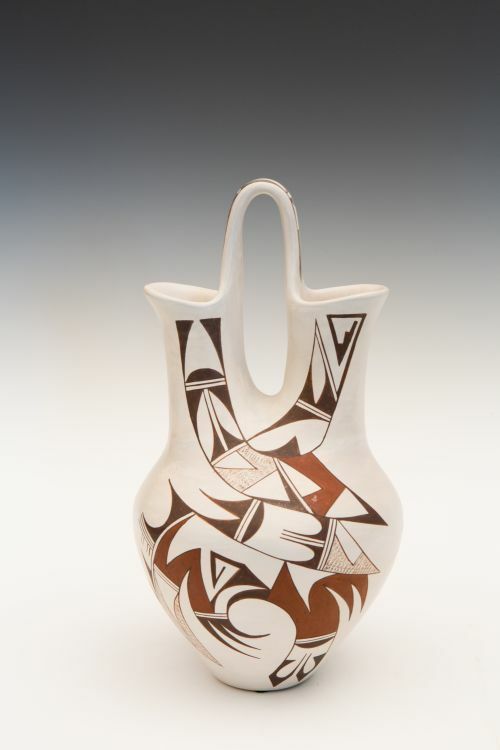 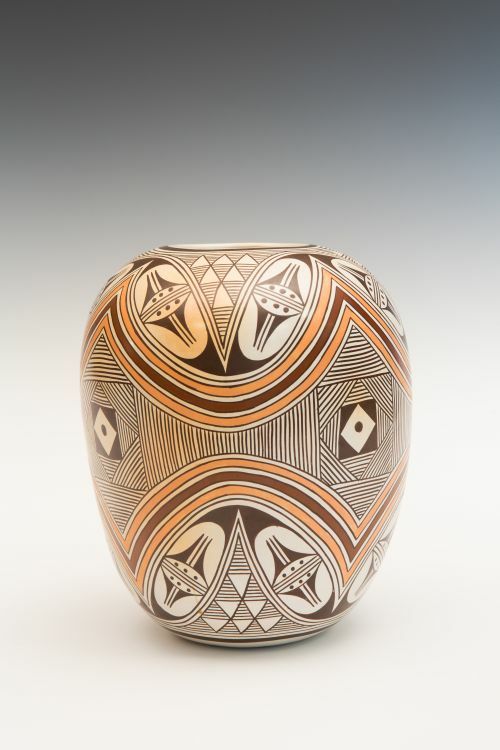 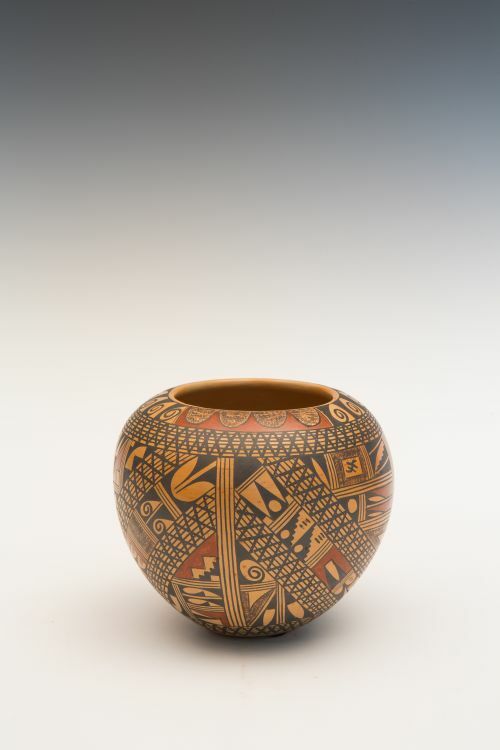 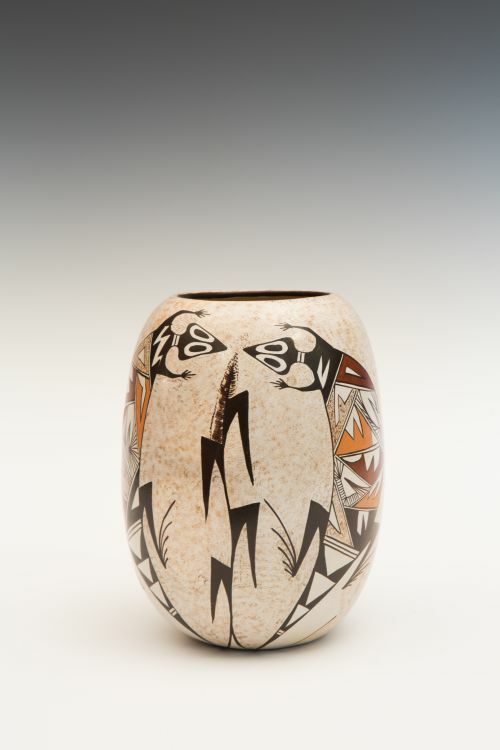 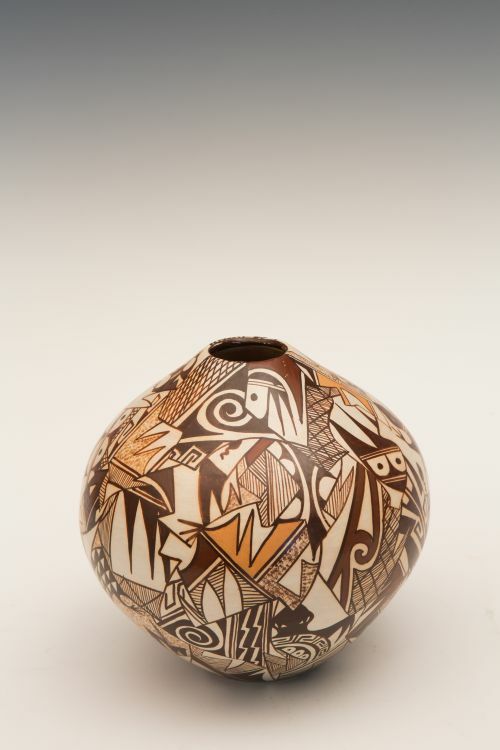 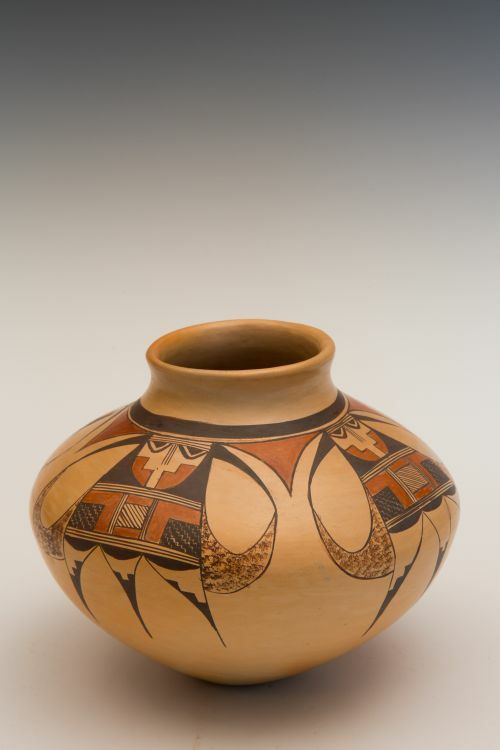 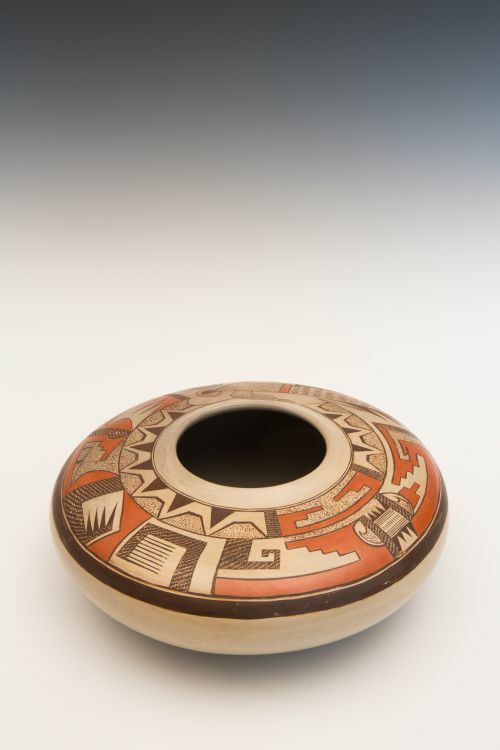 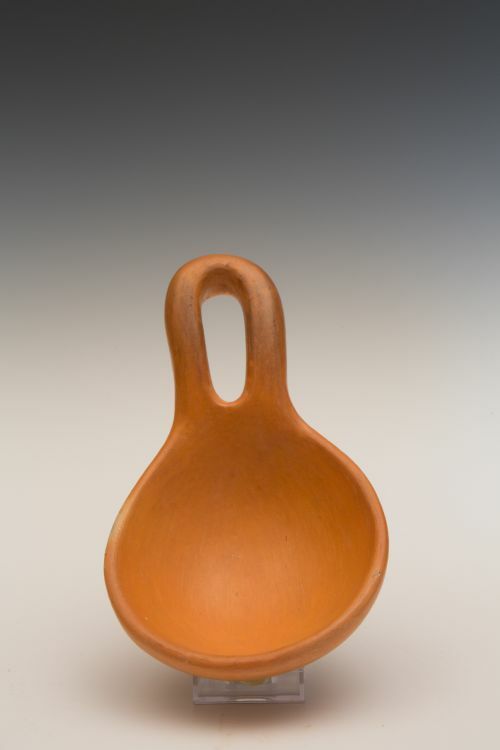 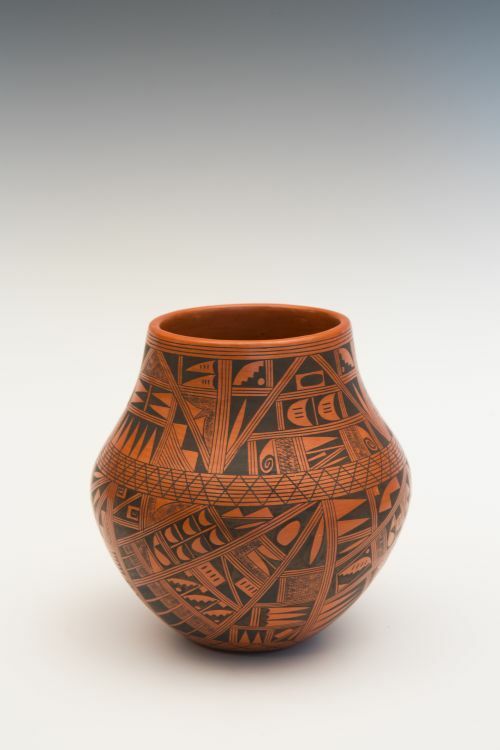 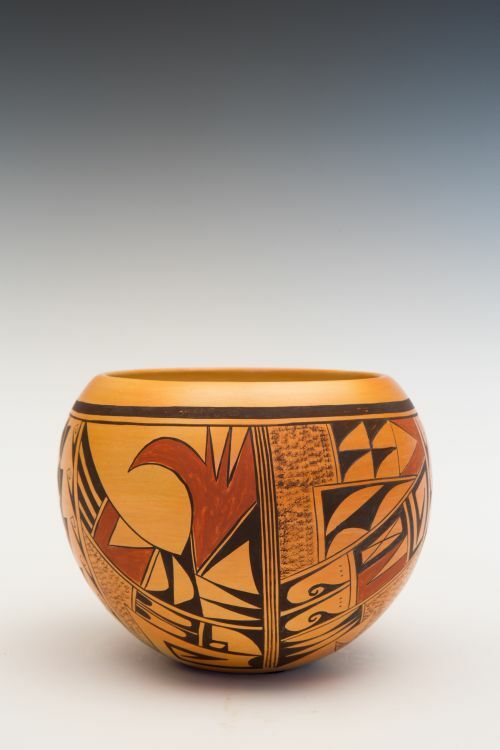 There is a kinetic vitality and precision to the composition of the design on this pot. 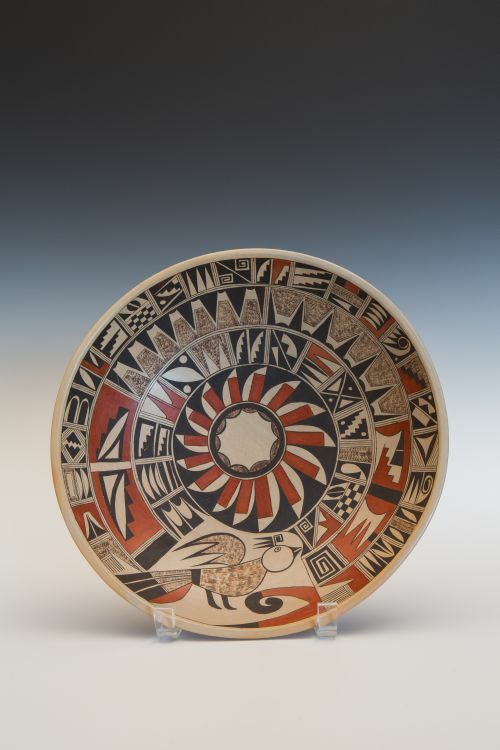 It is a meticulous balance of positive and negative, realistic and stylized bird motifs, and a lustrous paint quality. 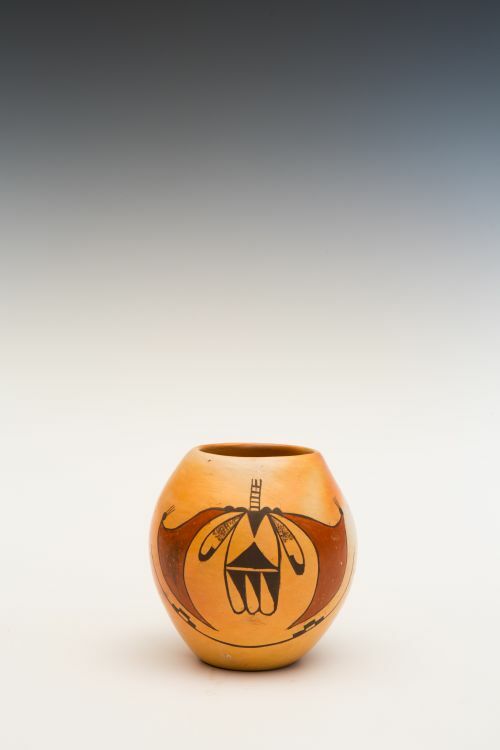 Quotskuyva said this about being a potter: “… be sure you have your hands. 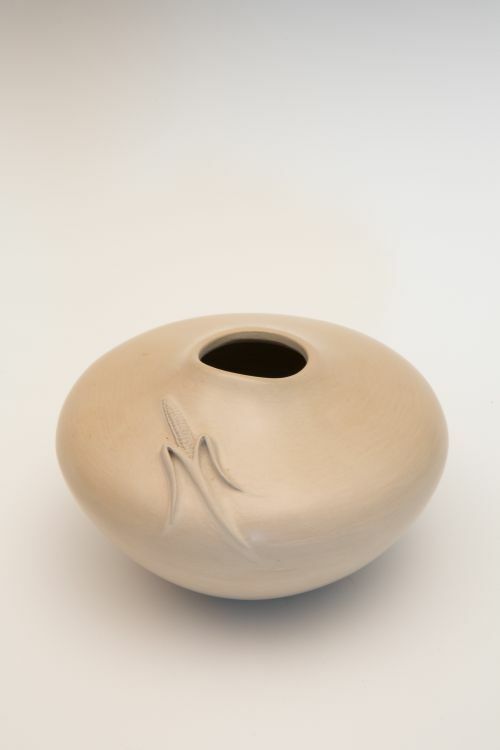 Train your hands so that it feels the pottery. 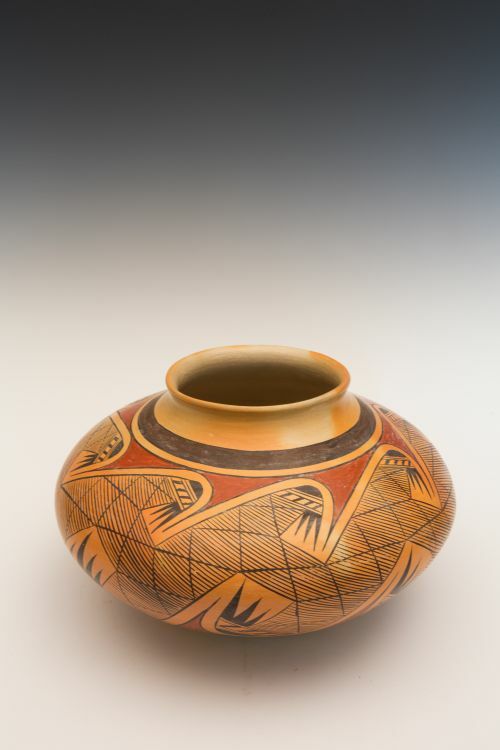 The wall, the thickness of molding, where you are, and especially when you are rubbing [polishing] your pottery. 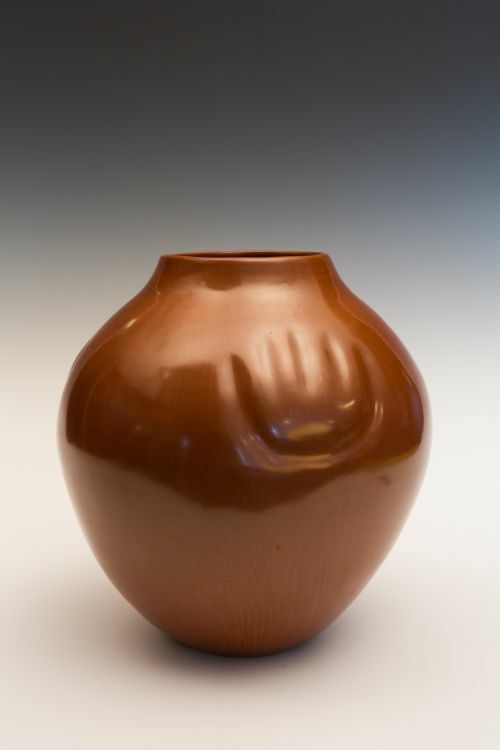 Make sure your hands are good enough so that training, so that you know just how thick your potteries are, where it is thick and where it is thin. 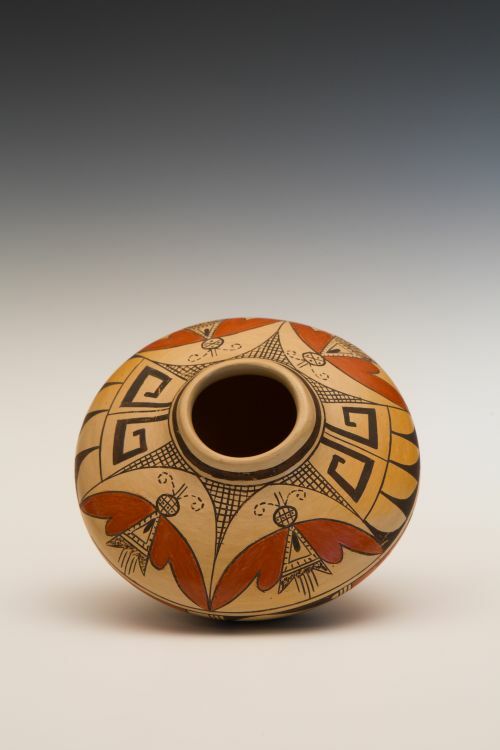 And with molding.... You know how the pottery feels, in the mouth [of the pottery] and everything."